Yesterday, a trip to Wood Hall and St. Ann’s Academy finished off my adventures at the 2014 Victoria Fringe Festival. Vaudevillian is James Jordan, a clever magician from Calgary. I have a hard time reviewing magic shows because I don’t want to give away any of the surprise that makes a magic show so enthralling. Jordan is a gifted entertainer and magician, with a show I felt primarily geared towards a younger audience. With that in mind, he was still mindful of the adults and through his various tricks, was still able to capture the crowd. You can tell he has spent his time busking and perfecting his stage persona, as his work has definitely paid off to the audience’s benefit. His performance is a few things you have never seen before, and a couple you have, and mostly a well-rehearsed, entertaining escape for your afternoon. Mr. and Mrs. Alexander are David Ladderman and Lizzie Tollemache respectively, two performers from New Zealand ready to take you back to the late 19th century and the world of sideshows and psychics. The world they create is far from our own, a world where telepathy and spiritualism is all the rage, and everyone is crowding for a taste of these performing magicians. The performers brilliantly shift in character and out making use of the entire space of the St. Ann’s auditorium and their own skills as magicians to suspend the audience in this alternate world. The entire show leads up to one moment with the final trick, the possum trap, and one final spectacle. The duo have a seamless connection on stage and are an absolute thrill to watch. Their show plays with the audience quite a bit, creating a unique atmosphere, and transforms the St. Ann’s Academy into a town hall circa 1890. Mr. and Mrs. Alexander is one of my favourites of Fringe this year, and with one show left, could be yours too! Vaudevillian and Mr. and Mrs. Alexander each have one show remaining. You can check out Vaudevillian at the Wood Hall at 6:15pm and Mr. and Mrs. Alexander at St. Ann’s Academy at 7:30pm. In case you have not voted yet, make sure to head to the Victoria Fringe website for Pick of the Fringe. This year, the ballots are online, and you have your chance to pick your favourite shows this year. The voting is open until 5pm and you can only vote once! The Pick of the Fringe awards are tonight at 10pm at the Fringe Club. Don’t miss out! That finishes off the blog for me this year. Huge thanks to Intrepid Theatre and all their staff and volunteers (including the billets!) for putting on yet another amazing festival. Last night, I visited the intimate space of the Fairfield Hall for An Ode to Dyads. Fishbowl Collective is Hannah Kaya and Connor Spencer and a few others from Toronto and Montreal. They created this short, highly physical piece together over Skype. I walked into the piece with a vague definition of the word “dyad,” I knew it had something to do with twos and pairs and that there is a sociological theory about them. Love songs from the 1940s fill the space taken up by two chairs as Kaya and Spencer take the stage. A bit of clowning combined with some absurdity and a whole cup of physical theatre, this comedic piece is a story simply about two people. Whether it is pure companionship or romantic love is up to the audience, these two girls take you into a type of 1984 world where little words are actually spoken (and when they are, it is French poetry), and everything is conveyed through movement. This piece is probably my favourite so far at the Fringe Festival. At only a half hour in length, I could not believe how much was said without saying anything at all. The choreography, the facial expressions, and their ability to convey the struggles and intimacy of a companion with their bodies and two chairs is, to me, what the Victoria Fringe is all about. Strip everything down until you’re standing in a nightgown with a chair on stage conveying raw emotion with a witty twist, is exactly what thrives at the Fringe and the kind of show you take home with you. An Ode to Dyads is a portrait of humanity that is a must-see this year. An Ode to Dyads has two more shows this weekend at Fairfield Hall. I unfortunately missed a show last night due to my inability to arrive at a venue fast enough, so I was only able to catch the opening performance of Magical Mystery Detour by Gemma Wilcox. I had previously spoken to the performer while she was at the Edmonton Fringe about her show and what Victoria can expect. Before the show, I had only recently heard of her previous work that has won awards all over the continent. All I knew walking in was that I was going to watch Wilcox’s character of Sandra take a journey that would follow some twists and turns. What I didn’t expect was the well-crafted one woman show that not only told a story, but proved to be one of the most relatable pieces of theatre I have seen in a long time. Sandra is a single woman with a career, friends, a dog, and a seemingly normal life. The audience learns early on that her mother has recently passed, and this is clearly a weight Sandra carries. Wilcox’s performance was not just of Sandra but of many other characters including people, inanimate objects, and various animals. The other characters brought humour to the piece but also brought the audience closer to the performance. The play was full of truth with a magnifying glass directed at the insecurities of your mid-30s, and was easy to connect to. The play altogether was more light than heavy, with plenty of laughs through the characters and Sandra’s quirks. It was just plain entertaining to watch Wilcox perform and I think is definitely a play to see at this year’s Fringe. Magical Mystery Detour continues at the Downtown Activity Centre from August 26th-31st. Magical Mystery Detour opens tomorrow at the Downtown Activity Centre. 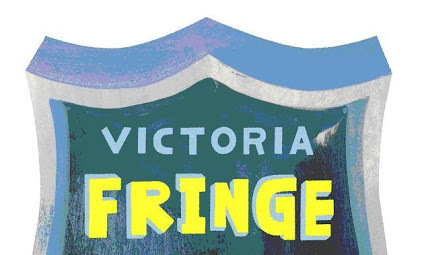 For full showtime information, visit the Victoria Fringe website. After visiting Improv Club last night, I made my way to the Downtown Activity Centre. Rope of Sand is a production by local theatre company workingclasstheatre. Written by Tristan Bacon and Alyssa Kostello, the story is simple. Two people meet, fall in love, and then life happens and choices need to be made. A mixture often used in modern culture, it is easy to create a forgettable story. The story of David and Tracy starts off in the same place most do, a social setting over drinks, but slowly as the play unfolds, it is easy to see the writers created something unforgettable in context and execution. The writers creatively set the piece somewhere tropical, had dialogue that was relatable and witty, and forced the audience to look back on themselves while watching the characters unfold. The blocking and the mysterious character of “D” is what stands out most in this play. Local actor Nicholas Yee steals the show and does an incredible job of keeping the play light and on its feet while still bringing truth out of his character. The way the three actors use the venue is perfect and creates a quick pace that moves the story along in a way that keeps you sitting forward for 50 minutes. Rope of Sand is a great getaway for anyone looking for something young, light, and local in this year’s Fringe. The Fringe kicked off with a bang last night bringing out 20 shows to Victoria. I stayed at Metro Studio for the evening for the opening performances of Seven and Vasilisa. Seven is the new show from Broken Rhythms Victoria, a rhythmic contemporary dance troupe here in town. They have blown away audiences for the last two years with their Pick of the Fringe winning shows Spark and Grimm. Each year, the group takes on a new theme to tell a story through dance. This year, choreographer Dyana Sonik-Henderson chose the seven stages of grief. In the past, I’ve always felt that Broken Rhythms did a great job of creating dance shows that were accessible to audiences who may not be familiar with the genre. By the end of the show this year, I felt they brought that same energy back to the stage. The four dancers that make up the show are by far the highlight this year. Their strength, emotion, and stamina were something to be reckoned with even with the dark tone of the material. Taking on the seven stages of grief through dance is a challenge because there is no specific story one can tell, but as an audience member, I found myself filling in the gaps with my own personal experience. Seven is a perfect example of the stunning local talent Victoria has to offer and is perfect for anyone looking to try something new at this year’s Fringe. I caught up with Dyana after the performance to talk about Seven and her inspiration this year. I finished off the evening with Vasilisa. What stays with me after the show is the complexity of the stage and how the five cast members executed their performance. The entire show is shown from behind a sort of see-through sheet using shadows, movement, and various projections. The set-up was what drew me in immediately, as I spent most of the show thinking about its intricacies and how challenging it must have been to put the show together. The story of Vasilisa is narrated by two musicians on the side of the stage while providing musical accompaniment. The way the story was told through the narration was clever and the music fit the mood perfectly. Overall, although the body of the play was wonderfully crafted, the skeleton of the play, that is the story, left something to be desired. Although an interesting concept and constructed like a fairy tale (think Cinderella meets Snow White), the story had holes and was often difficult to follow. Overall,Vasilisa is something you’ve never seen before and is a cool visual experience. Annette Roman is a seasoned Fringe performer. Her previous show, Hitler’s Lil Abomination has toured 7 Fringe Festivals across the country. She is back with her new show Animal Love, a bittersweet tale of love and loss, of the relationship with pets and family. Although surrounded by a the heavier topic of loss, the show has a lot of humour and humanity that made it a must see show at the Winnipeg Fringe. Animal Love kicks off Friday, August 22nd at Wood Hall.